A couple weeks back the cherry blossoms were in full bloom and I was reminded of why I would love to stay in this area. 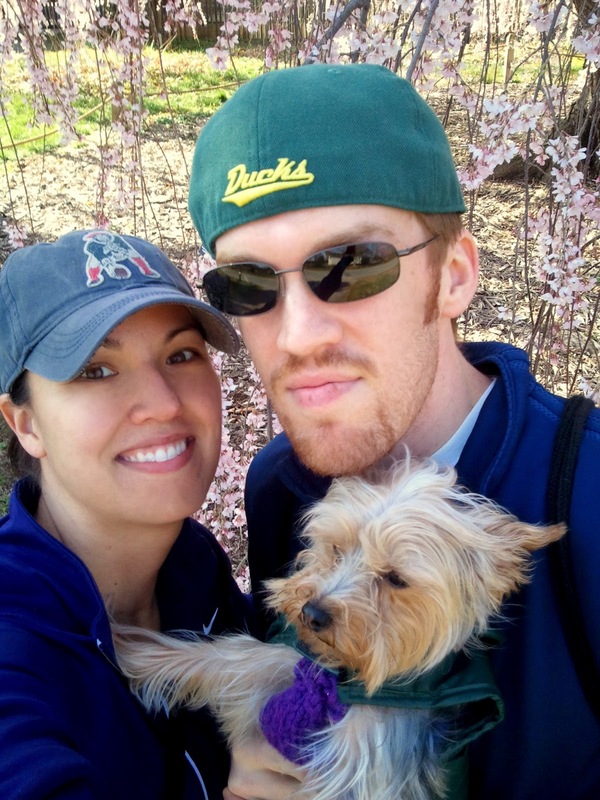 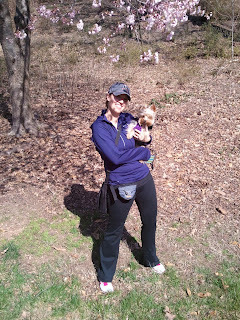 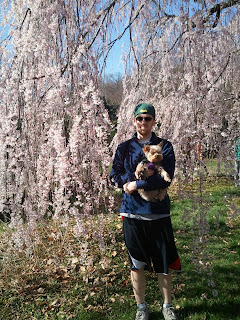 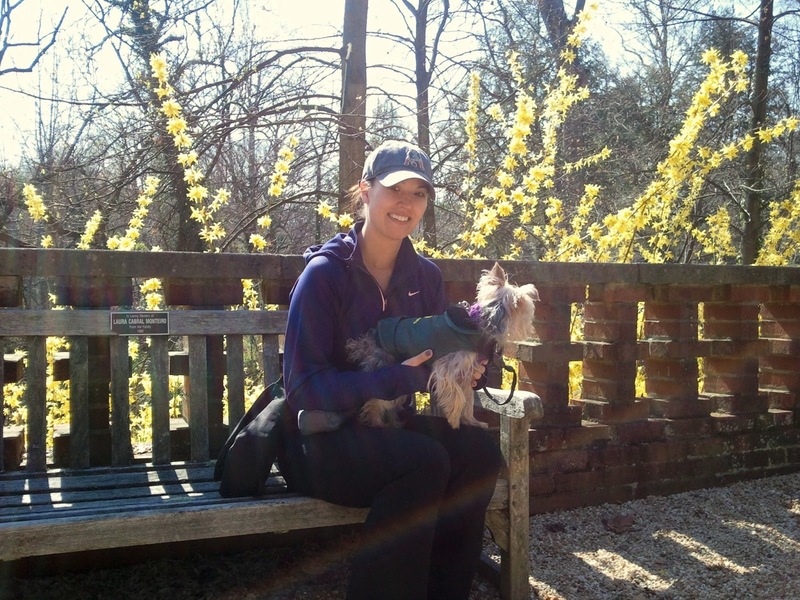 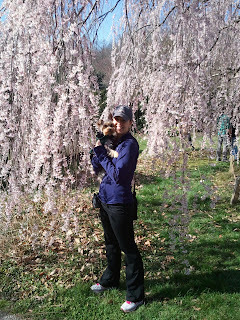 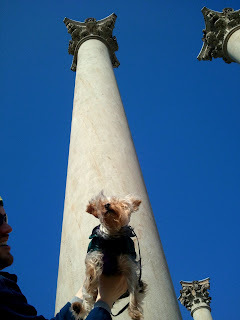 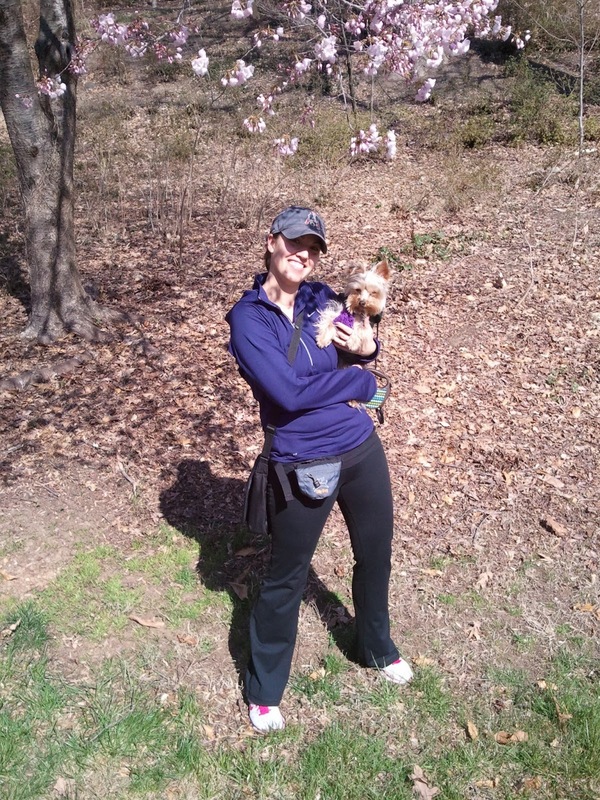 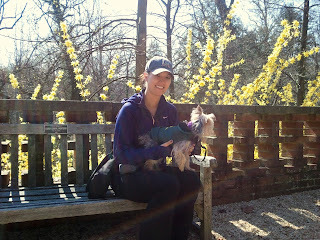 Of course we took full advantage and walked and hiked at local parks each weekend (that we could) in March and April. In addition to blossom peeping at the NA we also have another (not so) secret spot to enjoy spring. 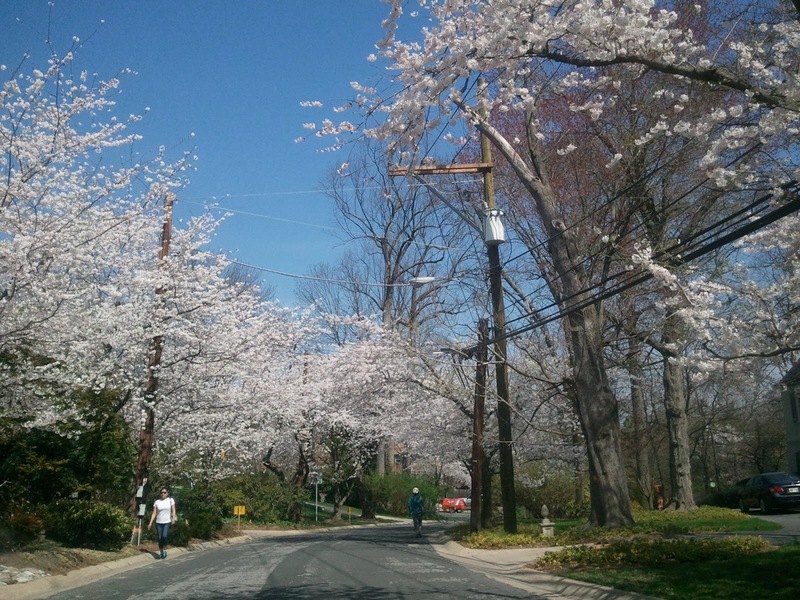 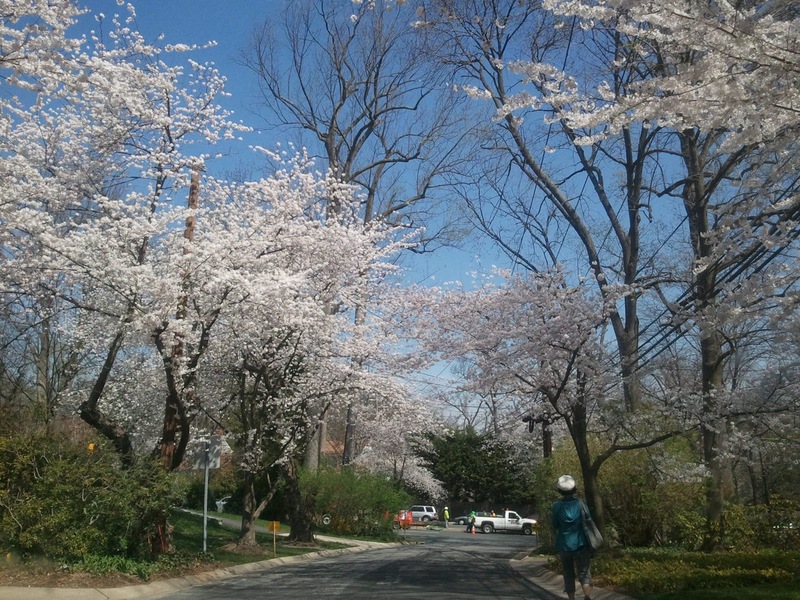 Last year a dear co-worker introduced me to a neighborhood in Bethesda called Kenwood. 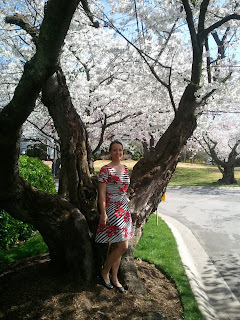 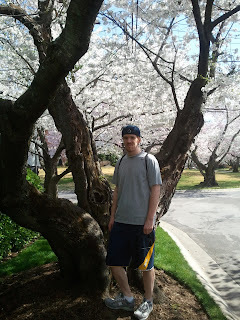 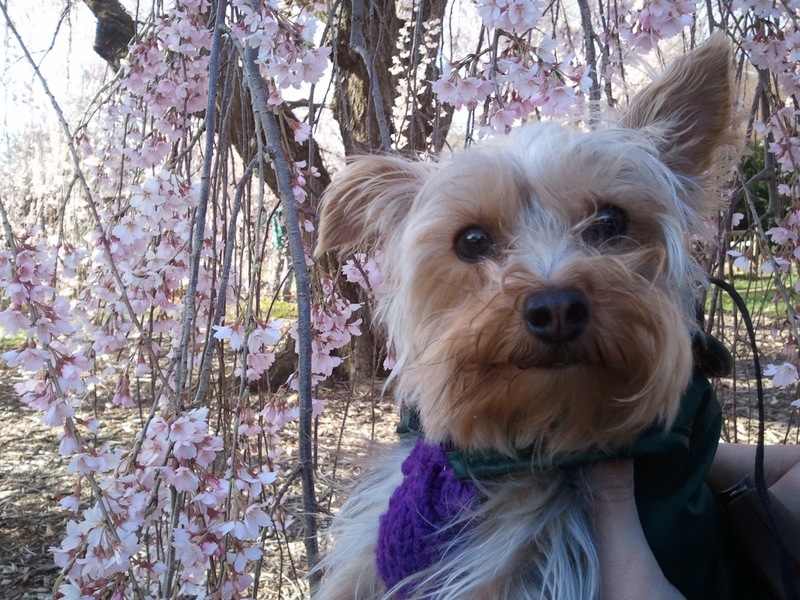 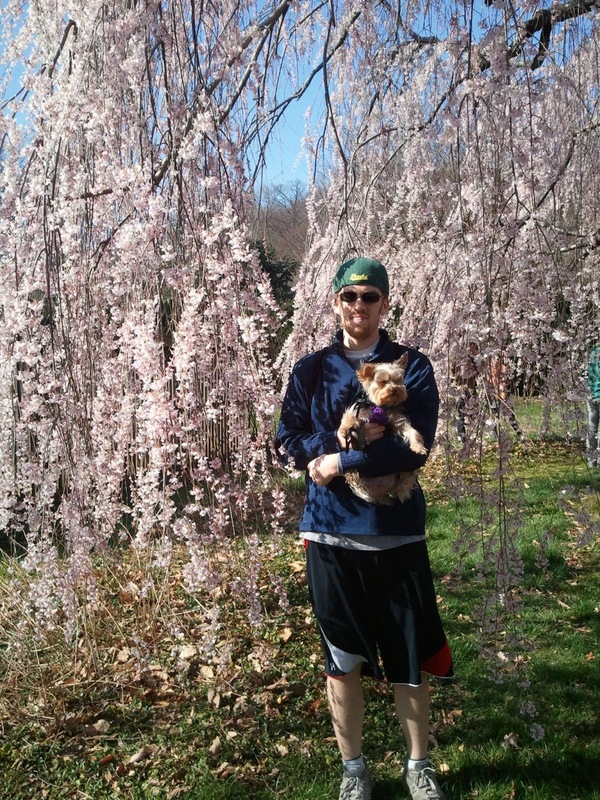 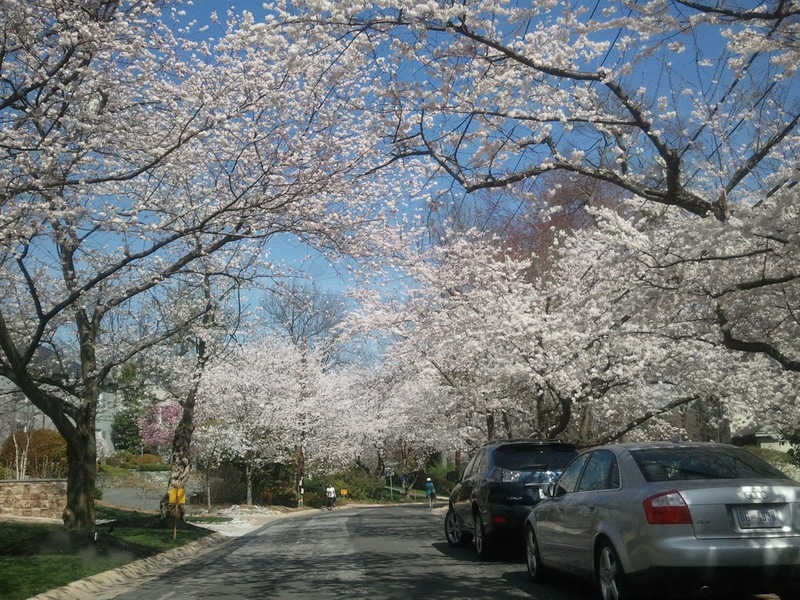 This neighborhood has multi-million dollar homes and streets lined with cherry blossoms! 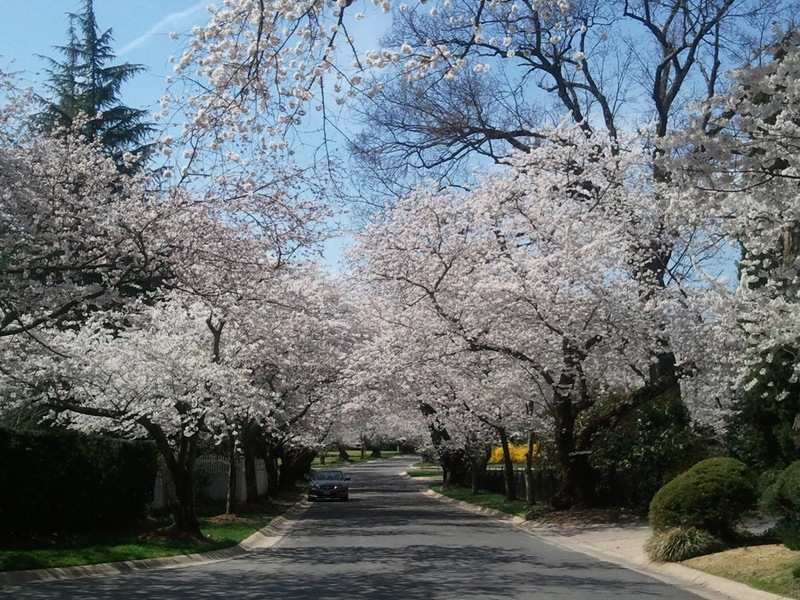 I read somewhere online that there are over 1,200 trees in this little neighborhood. 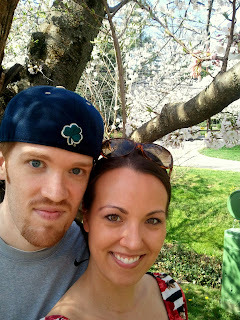 I had the hubs pick me up during my lunch break and we drove over for a lunch-time walk through the neighborhood. 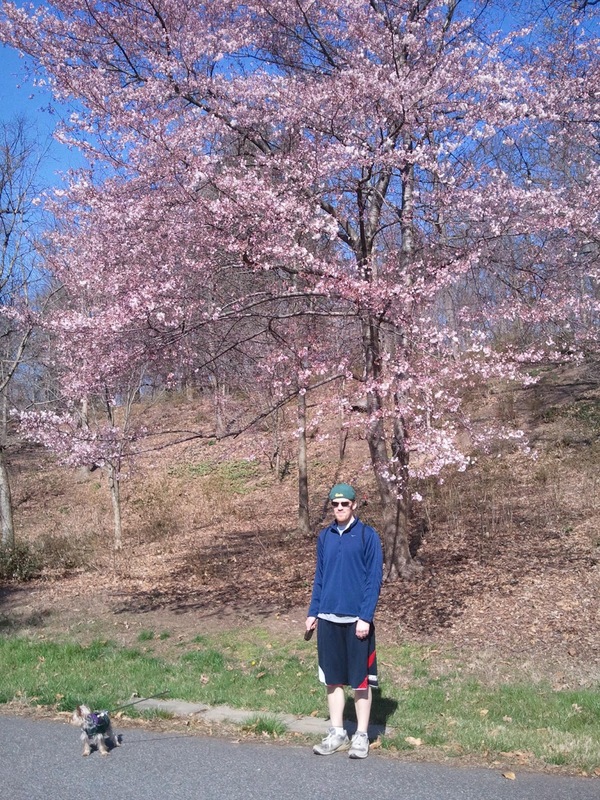 Oh my it was BEAUTIFUL! 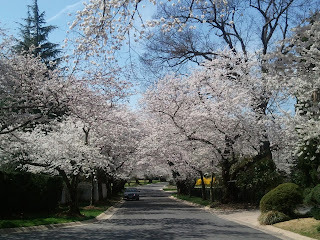 The trees canopy over the street and you feel like you are walking through a movie set. 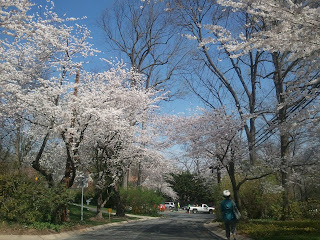 We went one day too early so not quiet at full bloom, but that was the only day I could run off-campus during lunch so it had to be. 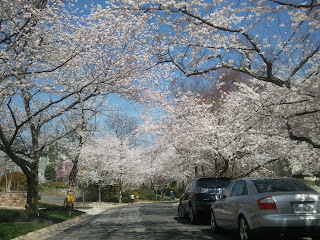 But it was still gorgeous!